This year, TrueLogic is focusing on technology updates and aims to bring the local market a robust suite of analytics tools to help creative agencies and businesses offer a state of the art reporting system to their clients. Over the last few years, e-commerce and the digital landscape has grown by leaps and bounds locally and will keep growing in 2014. As the year moves forward, TrueLogic is securing creative agency partners to offer SEO, and reporting technology. Internet penetration in the Philippines just keeps growing, and the number of internet users in the country is expected to jump from 33 million in 2013 to 41 million in 2014. Many Philippine e-commerce watchers, including Digital Filipino founder Janette Toral and Our Awesome Planet founder Anton Diaz, predict that 2014 will see the continued growth of Philippine e-commerce. Toral points out that the e-commerce trend is not limited to “super stores” alone – startups, service providers, and even rural banks are getting in on the action. 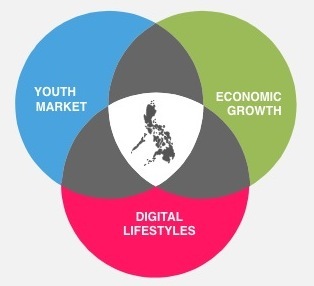 The Philippines’ growing digital market offers unlimited opportunities for companies and investors in 2014. A digital report by Tigercub Digital (co-authored by digital strategist Will Greene) describes the country as the “perfect digital storm” that combines favorable demographics, strong economic growth, and increased digital engagement. 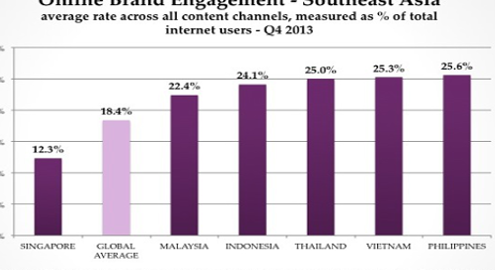 Greene also points out that the Philippines has the highest level of brand engagement and openness in Southeast Asia, and one of the highest in the world. 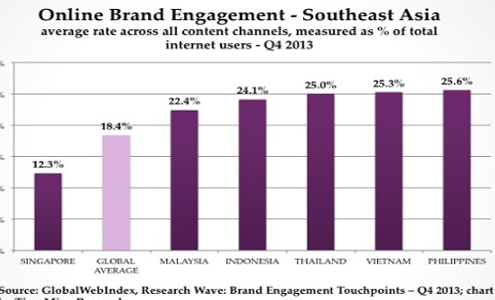 According to Greene, the Philippines led Southeast Asia in Q4 2013 in online brand engagement across different metrics (such as social shares and website visits) and across many content channels (such as social networks, blogs, and online forums). 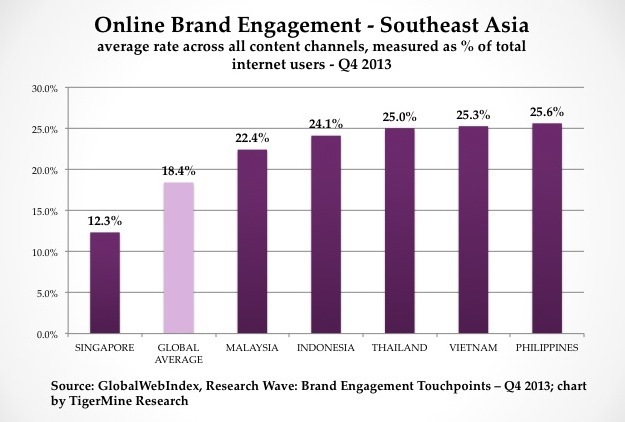 The Philippines is still relatively new to the digital scene, and it’s easy to get left behind without the right partner. Despite the increasing demand for online services and e-commerce, the Philippines still faces many challenges when it comes to digital marketing. These challenges include the lack of skilled workers with digital competencies, minimal support and local funding for start-ups, and a limited access to digital marketing education and training. Aside from that, many businesses still haven’t integrated digital into their overall marketing strategy, because they don’t know how to get started or they don’t see the value of doing it. Our company’s focus this year is to fill in the digital gaps for these companies by identifying what’s missing from their marketing strategies and providing the most effective services to meet their requirements. By successfully integrating web analytics, SEO, and content development into a client’s marketing strategy, we open their doors to the millions of potential online customers in the Philippines and across the globe. Content marketing has always been about establishing a business’ reputation and earning customers’ trust. With major search engines like Google constantly emphasizing this core philosophy, and many Filipino shoppers still wary of buying things online, any company needs a solid content development and creation strategy to reach local consumers through the internet. Effective content marketing helps make a positive impact online for brands in industries like gaming, retail, insurance, banking, e-commerce, air travel, accommodations and much more. We’ve made sure to keep up with search engine’s algorithm updates and our client’s changing needs. Our methodology is centered on great content, from production to publication. We work closely with all our clients during content development, and establish partnerships with top online publications to make sure the content we create is distributed on the right channels. The Philippines will dominate the e-commerce industry in 2014, and we will proudly help local companies usher in this digital era. Contact us to start working with the digital marketing company that will lead you to online success.